The clocks go forward tomorrow night. So, in a mean twist of fate, mums will get an hour less in bed coming into Mothering Sunday, when they’ve probably got most of the day’s work to do! Pews News: This Sunday, March 31, at 10.30 am, there will be a 9am service of Holy Communion at St Peter’s. Then, at 10.30 am, there will be a special service of Family Worship for Mothering Sunday at St Andrew’s. At Pett Methodist Chapel, the 10.45 am service will be led by the Rev Neville Barnett, in a United Service for Mothering Sunday with friends joining in from the Anglican Church. MOPPs today: Today, Friday, March 29, the entertainment will be by Village Voices, the local favourites, followed by a lunch of sausages, baked beans and jacket potatoes, and then trifle. Next Friday, April 5, it will be Celia King with her chair-based exercises, and also Nicola’s Age UK toenail cutting service. Luncheon next week will be beef lasagne and salad, with panna cotta to follow. The Gardening Club: No fooling – for their meeting on Monday next, April 1, starting in the village hall at 2.30 pm, the Gardening Club welcomes back Barry Yates, from Sussex Wildlife Trust, who will be giving a talk entitled ‘Discovering Rye Harbour Nature Reserve’. Barry will be updating members on the comings and goings of the wildlife on the Reserve as well as news involving the imminent start of construction of the Discovery Centre. Refreshments will be served and, as ever, non-members are welcome on payment of £2. Lingfield Park Ladies Day: Margaret Hook Pulfer is organising an outing to the Ladies Day at Lingfield Races. Several ladies are already raring to go, and a few more would lead to the booking of a larger coach. The cost of either coach is £15 per head, including tip. 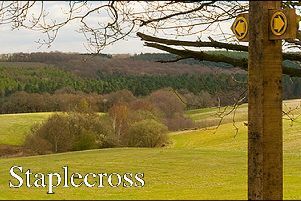 The day of the trip is Friday, May 3, and the coach will be leaving the Circle at 11.15 am to arrive at Lingfield by 1 pm. Those fortunate to be going will get a Premier Ticket, at £17, which gives you private tables with service throughout, ensuring you always have a seat to return to in between the racing action; a race day programme; convenient bar and Tote betting facilities; full afternoon tea of a fine tiered selection of a variety of finger sandwiches, scones with jams and clotted cream plus a selection of cakes. And all this for £55 plus the Coach at £15 for a total of £70. Departure, after the racing at 5.30 pm. The absolute final day for booking is Monday, April 15, but it would be advisable to book earlier as it is a most popular event and Margaret is unable to hold tickets. Please make cheques payable to Margaret Hook. If there’s anything puzzling you, please call her on 814866. Tuesday Ladies Club: The Club had a very enjoyable afternoon being entertained by Chloe Dent – a belly dancer. Chloe originally studied criminology and had a very stressful job so she looked for an outlet to relax her. She tried a belly dancing class and became completely hooked and now teaches the art full time. The dancing features in the cultures of several countries including Egypt, Turkey and the Lebanon as well as being the entertainment on cruises on the Nile. There are strict movements for each musical instrument and the art really started as women entertaining women. Russians now learn the dances and are trained in the same way as their acrobats, and though they are excellent dancers, they somehow lack authenticity. Chloe demonstrated all the dances, including a shepherd’s dance which is usually performed by men. The April TLC meeting will feature Wilf Lower and his subject will be the Last Days of the Music Hall. This will be on April 16 at the usual time of 2.15 and visitors will be made very welcome for £2 admission. Sally Watson will be holding her garden party on July 2 to raise money for the Hearing Dogs Day lunch for people who are on their own. If you are interested or need more information please get in touch. Fairlight history group: This immensely popular and likeable newish group attracted more than forty folk to their second ‘regular’ meeting, with very old film of one family’s holidays in the village in days of yore. Fascinating to see so little traffic and so few people about, and all the innocent games and pastimes being enjoyed without a multiplicity of hyperactive thumbs prodding minute screens. It was lovely to see the settings and backdrops to the family activity for glimpses of still recognisable Fairlight. The afternoon was presented by Haydon Luke and Paul Draper in tandem with, as they proudly professed, not one but two computers! Paul had made contact with three of the filmed youngsters and met them all in Fairlight jus a few short years ago! The second part of the day’s showing featured film of a presentation in Pett in 2000. Haydon pointed the members to the University of Brighton’s burgeoning archive, begun in 1992, of film, stills, slides and all manner of artefacts relating to the South East in publically accessible form. It can be found at screenarchive.brighton.ac.uk, and is highly recommended. Walking for Health: Hardy souls have been out for their Monday morning walks in frosty weather, in rain and heavy blow, and on Bank Holidays. Now that April’s here, on Monday, why not go along to the village hall for a 10.30 am start in the better weather?